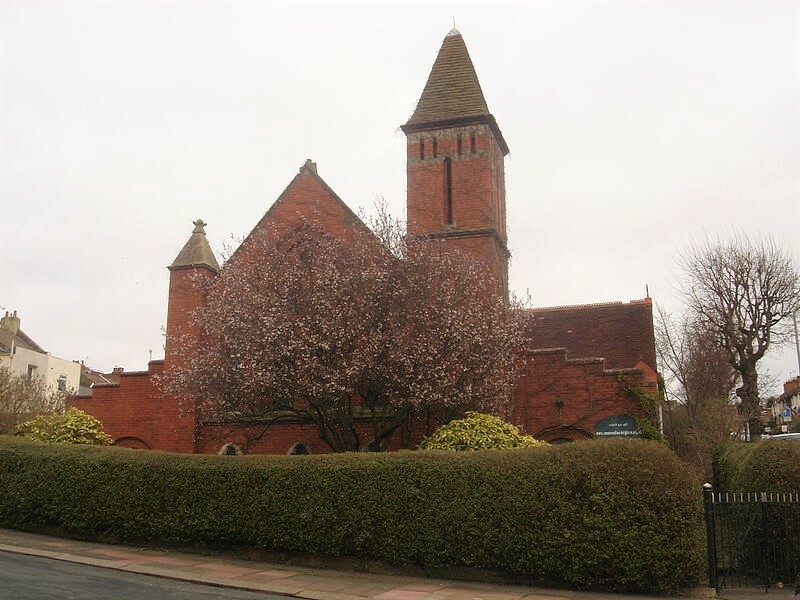 The church was opened in 1910 to the design of L W Ridge (BAL Biog file) in the expanding parish of Preston, though the chancel and associated vestries etc were only completed in 1924 (ICBS). It was in simple brick lancet style on a cruciform plan with a quite tall but curiously thin south west tower, which had plain single lancet-shaped bell openings and a tall pyramid spire. In addition and over the east end of the nave was a bellcote. Later changes included the conversion of the west end as a parish hall in 1979 (CCC file). Even before this there may have been other changes, including the domestic-style aisle windows. The boarded roofs inside were supported on iron posts, except for the chancel arch and eastern arcades which were of brick. The church was closed because of structural problems in 2006 and made redundant the same year. This was followed by demolition. Altar: C E Kempe, 1888. Moved here in 1912 from St Bartholomew (Dale p149). Altar rails: Quite elaborate and of stone. Font: Small carved octagonal bowl.